Bounding frames on 4 icons and cross for mitra made out of twisted silver wire and decorated with fresh water pearls. Weight: frames 40 gr., cross 50 gr. Commissioned by: Fr. Romilos, Abbot of Duboki Potok Monastery near Zubin Potok, Kosovo and Metohia. 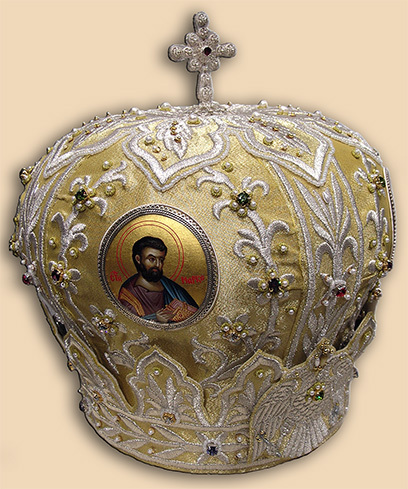 In possession of: His Grace Bishop Artemios (Radosavljevic), Serbian Orthodox Diocese of Ras-Prizren and Kosovo-Metohia.